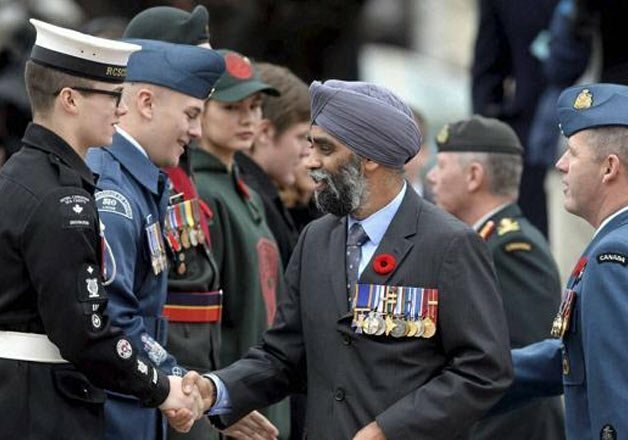 Ottawa: Canada’s newly appointed Defence Minister Harjit Sajjan has become the target of racist attacks by an officer in his own armed forces. Reports said that a non-commissioned officer from the Canadian Forces Base at Valcartier near Quebec City targeted Sajjan in a racist comment on social media on November 5, just a day after Sajjan was sworn in as defence minister. The comment was later removed. The Globe quoted an armed forces spokesperson as saying that bullies have no place in the army. “Racist attitudes are not compatible with military ethos and with effective military service. Any conduct that reflects such attitudes will not be tolerated. “The institution is entirely committed to the principle of equality of all people and the dignity and worth of every human being”, the quote said, and noted that “bullies have no place in the organisation”. The Toronto Star reported that the military’s Chief Warrant Officer Kevin West sent an email to his troops on November 5, saying: “We have had an incident in which a high-ranking member of the military posted negative comments on a Facebook page about our minister. As per military rules, the offending officer can be relieved from the armed forces, suspended, put on probationary period or sent for counselling.